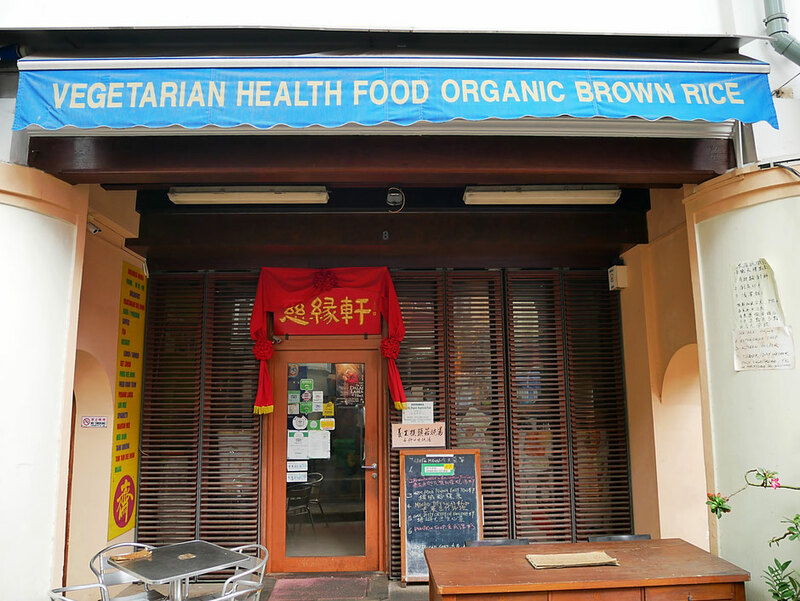 Ci Yan cafe has been around since 1997 and prides itself on selling healthy local organic vegetarian food. Whilst Levitise does not necessarily advocate vegetarianism, or any one-size-fits-all diet in particular, we love the idea that if you're looking to get a boat load of high quality vegetables into your diet at lunchtime, you have an affordable option just a short walk from the CBD. 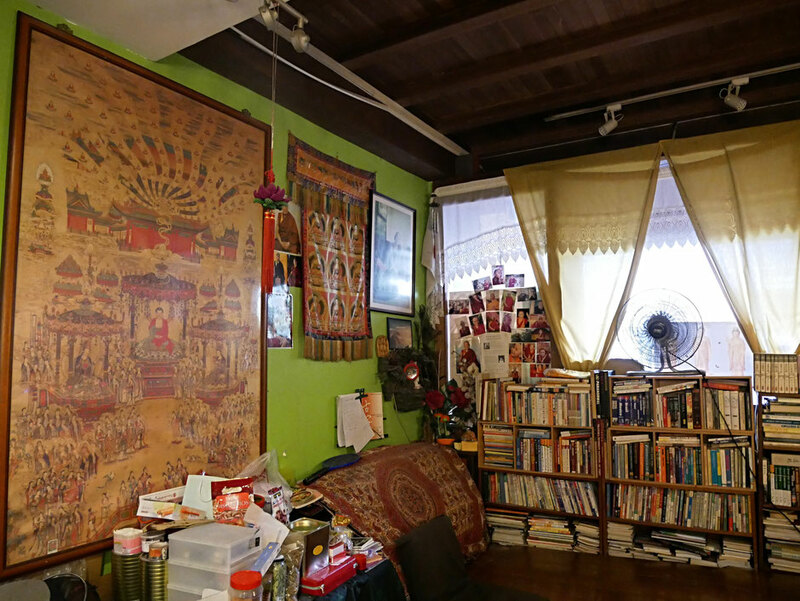 A small breathing area with books, a fan, and supportive cushions to relax, eat, read, browse and enjoy life! Ci Yan is managed by a small team including Tony, his wife and son but despite that the food arrived very promptly. Tony keeps the atmosphere of the cafe active with his jokes whilst simultaneously, scurrying in and out the kitchen, taking and serving food orders. Despite the casual ambience, we found that the real treasure lies in its indisputably tasteful and fresh home cooked food. We started off with the brown rice and vegetable spread. The brown rice is soaked over night for at least 12 hours which is fantastic and clearly shows Ci Yan knows what they're doing. 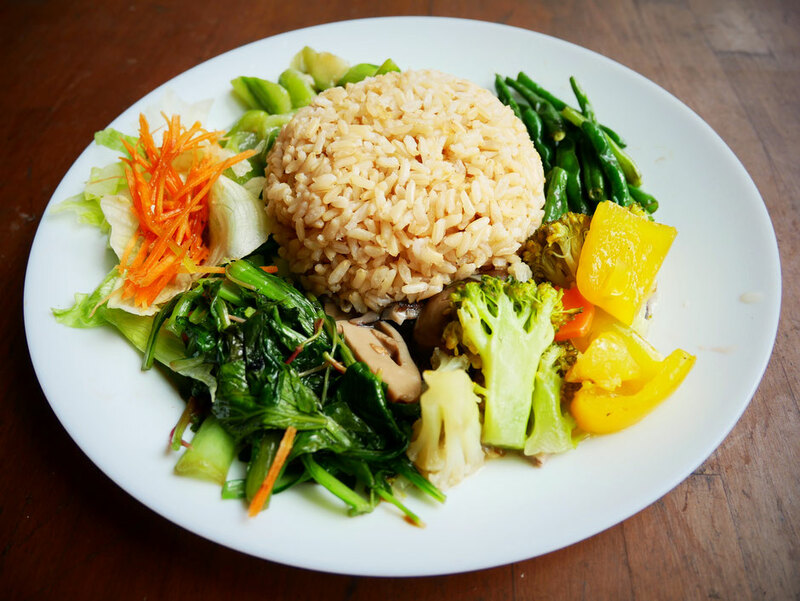 Accompanying the generous portion of rice was a medley of vegetables including dark green long beans, broccoli, cauliflower, cai xin, lettuce, carrot and something that we couldn't quite recognise that was cooked in ginger and absolutely delicious. Maybe you can check out the picture and guess what it was! At Levitise, we prefer brown rice over white rice as long as the brown rice is properly soaked and sprouted to activate the enzymes, ensure the nutrients in the bran are bioavailable to us and to reduce the amount of toxic phytic acid contained in the bran. This is how you maximise the nutrients of all grains as traditional cultures have done for 1000s of years by soaking, sprouting and fermenting. We'll be doing a future post on this but if you're too lazy to soak your brown rice at least overnight then stick to white rice (unless you're diabetic). Next, we had the shark fin melon, red dates and mushroom medicinal soup with a side of brown rice. 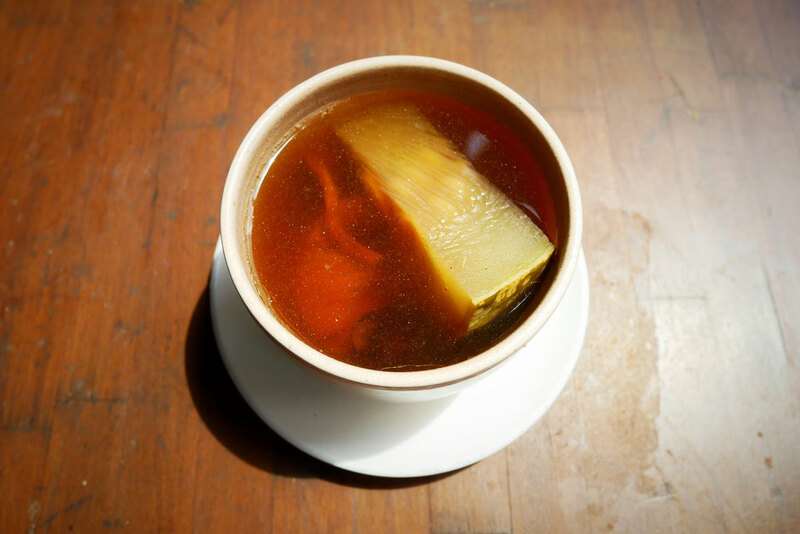 Some Chinese soups can often leave quite a bitter aftertaste but we were pleasantly surprised by this sweet and rich broth that did not have an overpowering taste. In addition, the deliberate selection of a variety of ingredients with either cooling or heating features, was unquestionably a superb method to jack up our immune systems and reboot a feeling of inner balance on a warm and sunny Wednesday afternoon. Finally, we tried Ci Yan’s vegetarian spin of the Singaporean favourite, char kway teow! 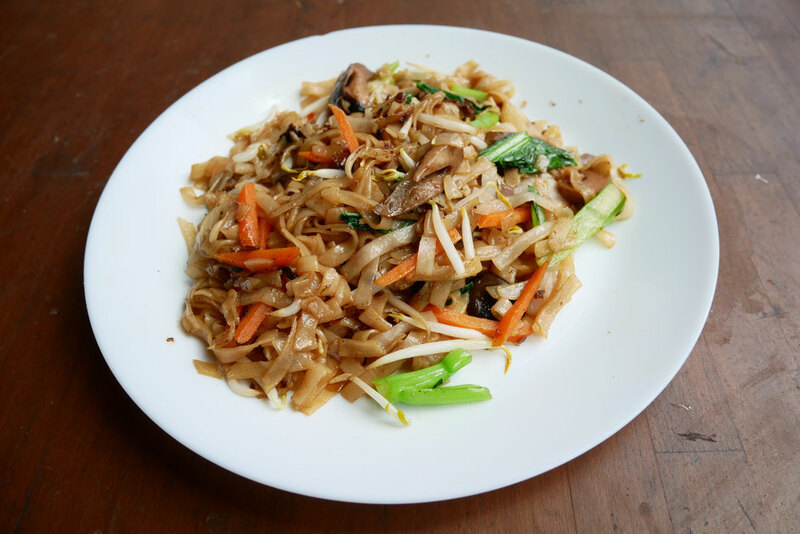 Lightly pan-fried kway teow with four simple ingredients carrots, mushrooms, bean sprouts and chai sim, this beautifully flavoursome dish was so good that we did not even mind the absence of seafood or meat. Swoon worthy! Ci Yan Organic Cafe get all of their food from local organic suppliers such as Fireflies Organic Farm in Kranji, Origins and Nature's Glory. They do not use table salt and use high quality sea salt instead. They don't use refined table sugar but use organic rock sugar, not the best sweetener in the world but certainly a step in the right direction. Any frying they do they use sunflower oil which, whilst still a vegetable oil, is far superior to canola oil. They also use it very sparingly to maintain the crisp, natural taste of the vegetables. They change the menu daily so if you're a vegetarian and work in the CBD then this is a perfect spot to go for lunch every day. If you're not a vegetarian then just load up on eggs for breakfast and have an extra portion of fish for dinner and go to Ci Yan everyday anyhow! 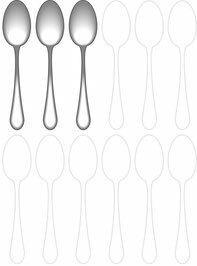 Click here for our 12 Spoons food directory to find the tastiest and healthiest restaurants in Singapore. Liked this review? Click here for a summary of all the other healthy food places we have reviewed thus far. The address above shows East Coast road which is incorrect. Should be smith street.